Peregrine Island is Diane B. Saxton's award-winning debut novel. Saxton demonstrates how a literary piece can be a true work of art. The story is set on a private island that has been in Winter Peregrine's family for generations. Living in the home built by her grandfather are her daughter Elsie and granddaughter Peda. These 3 women make up the central character from whom the plot unfolds. 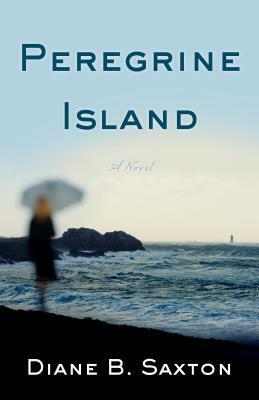 Peregrine Island is a literary mystery with many layers. In the beginning, the mystery regards of a painting by Samuel Candor that has been a favorite of Winter's since her childhood. But as the story unfolds the mystery becomes more about the people that are connected to the painting. There are secrets and ulterior motives that are slowly revealed as the mystery surrounding the core characters. Scenes are vividly described; it is almost as if the reader is viewing a tableau. And it is in this vividness that the literary work is elevated to a work of art. Peregrine Island is not your typical suspenseful mystery, though it is suspenseful in places. Instead, it needs to slowly savored. It is not a novel that you want to quickly page turn through. It is like a painting that if you only glance at while passing, you miss the depth of color and intricate brush strokes. I will admit that it took me a while to get used to the style, but by the end, I really appreciated that it is a novel that refuses to be rushed. And as the weeks past, I did try to rush my reading. However, when I gave in and read the story at the pace it demanded, it provided a much richer reading experience. I almost feel that it is from a bygone era when books were rare and the main form entertainment. In our busy lives sometimes we need to be forced to slow down. Even in my reading life I often feel rushed to meet deadlines or just find out what happens next in the story. It was refreshing to slow down and truly relax with a novel.